Analysts across Wall St. are recommending shares of MGM Resorts International (NYSE:MGM), the 16 property—and two joint venture—casino/hotel operator. For 1Q12, MGM (“the Company”) missed analysts’ estimates by a wide margin, posting a loss of $0.44 versus a mean estimated loss of $0.16. One would think such a wide miss would inspire at least one analyst to downgrade the Company. No such analyst exists. So, we decided to do our own digging to find out why someone might be interested in the stock. Viewed from a relative performance basis, the argument for purchasing any casino/hotel operator is difficult to make. Year-to-Date (YTD) MGM is down approximately 10%, while the S&P 500 is up just over 9%. Its competitor, Las Vegas Sands Corp. (NYSE:LVS), is down 16% YTD versus the S&P. Wynn Resorts Limited (NASDAQ:WYNN) is off by about 15% YTD versus a 12.5% increase in the NASDAQ and Caesar’s Entertainment (NASDAQ:CZR) is off by almost 50% relative to the same benchmark. Valuation on a P/E basis is impossible, as MGM is earnings negative. From a fundamental perspective, the reported numbers look encouraging, but a little digging suggests results may not be as dazzling as one would hope. Revenue was up 51% year-over-year (YoY) in the first quarter. Excluding the Company’s Grand Paradise resort in Macau, whose results were consolidated for the first time this year, revenue grew only 4% versus the same quarter last year. A similar picture emerges when we look at adjusted earnings before interest, taxes, depreciation, and amortization (adjusted EBITDA), a proxy for cash flow that ignores non-cash charges and one-time expenses. Adjusted EBITDA appears to have jumped an impressive 62%. If we back out the contribution made by the Macau property, however, adjusted EBITDA declined by 17%. Do you see what is going on here? Company performance is being driven by a single property, the MGM Grand Paradise in Macau. Contrast this with the performance of the Company’s 15 U.S. properties; they continue to struggle posting only a 4% revenue gain and declining EBITDA. MGM is quite popular among hedge funds. Billionaire John Paulson has more than $500 million invested in the stock at the end of March (see Paulson’s other top picks). Billionaire Howard Marks is the second largest holder of the stock among the 400 hedge funds we track. Billionaires Ken Griffin, Israel Englander, Steve Cohen and Jeff Vinik have small positions (see Steve Cohen’s big bets). So, why are these billionaires bullish about the stock? We have a few theories. First, anyone who believes the Macau economy will be robust going forward, thus driving performance at MGM Grand Paradise, would be a buyer. Second, people with a favorable view of the U.S. economy may take an interest in MGM, betting that the Company’s domestic investments will payoff sooner rather than later. Third, an investor may believe that MGM’s debt position will provide sufficient financial leverage to drive outsized gains in earnings. Concerning the Macau strategy, economic data for the region have been mixed. Per the latest reports, unemployment is up .1% off of the all-time low of 2%. Visitor arrivals are down 3.4% YoY. The Tourist Price Index advanced 6.5% YoY, but was down 4.6% versus last quarter. Package and Hotel Occupancy Rates were up 11.7% in May of this year. We interpret the data as slightly negative, given the uptick in unemployment, the decline in visitor arrivals, and the sequential decline in the Tourist Price Index. Moreover, MGM’s competitor, Las Vegas Sands, just released earnings and missed analysts’ estimates by approximately 27%. The Company’s Asian properties in Macau and Singapore were largely responsible for the miss. This seems to confirm our assessment. In sum, a bet on Macau may be a losing bet. Our second theory is that investors may see MGM as a play on the U.S. economy. The logic is simple: all casino/hotels are cyclical companies. Should the U.S. economy hit its stride, MGM’s domestic investments will surely benefit. Unfortunately, data on the U.S. economy are somber. Here, look at three indicators: unemployment, GDP, and manufacturing. The last non-farm payrolls report indicated unemployment was 8.2% (flat versus the prior month). This number is notoriously deceptive, as it ignores discouraged workers (i.e., people who have stopped looking for work), in addition to people willing and available to work, but not currently looking, and individuals who have a part-time job, but would like a full-time position. We estimate the real unemployment rate ranges from 11.3%, based on an adjusted labor force, to 14.9%. Though the unemployment situation has been improving, both numbers are frighteningly high. GDP statistics for the period spanning from April to June indicated an annualized expansion rate of 1.5%. Though the number was above expectations by .1%, it is down from the recently revised rate of 2% for the prior period. According to the Commerce Department, the decline was largely a function of “a deceleration in [personal consumption expenditures], an acceleration in imports, and decelerations in residential fixed investment and in nonresidential fixed investment.” With the consumer affecting two thirds of the economy, this is bad news. A decline in consumer spending will directly translate into declining performance at MGM. Another barometer of economic activity is the monthly ISM Index, which measures manufacturing activity. The June number (49.7%) revealed that the manufacturing sector contracted. A reading above 50% is expansionary. Assuming MGM’s performance is contingent upon the economy recovering to pre-recession levels (i.e., the comparable period in 2007), we would need 5% unemployment, a second-quarter GDP growth reading of at least 3%, and a July ISM of 53%. This does not contemplate the state of the housing market, which is a determinant of economic health and personal consumption. While no one has accurately predicted the overall state of U.S. housing, we know it remains depressed. With these data in mind, it seems difficult to believe the economy will launch the kind of turn-around MGM would need to become an outperformer relative to the broader market. This undermines theory number two. Our final theory hinges upon MGM’s leverage (a/k/a debt burden). MGM’s current debt-to-total-assets ratio is approximately 49%, which is broadly inline with competitors. This quarter, MGM’s debt burden threw off interest expense of more than $284 million. Should the Company’s U.S. investments pay off, small movements in operating income will have enormous effects on earnings and, in return, the Company’s return on equity. This is the effect of financial leverage. Of course, in order for this strategy to pay off, a strong economic recovery must ensue. For patient investors, this could yield a handsome return. 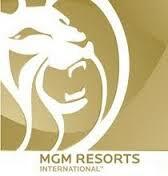 If a domestic recovery proves elusive, however, MGM will have to face the prospect of bankruptcy. Though bankruptcy is a possibility, lending groups have demonstrated a willingness to let MGM “extend-and-amend” some loans and refinance others. This signals lenders’ willingness to work with MGM to reduce interest expense to a level the Company can afford, rather than force it into bankruptcy. Given the generosity of the Company’s lenders, the financial leverage play makes sense, but only if we assume a robust economic recovery. Investors with a long time horizon may be rewarded but, in light of the data we have presented, we believe that return may be a very long way off. In our view, superior returns can be found sooner elsewhere and, thus, recommend staying away from MGM at present.